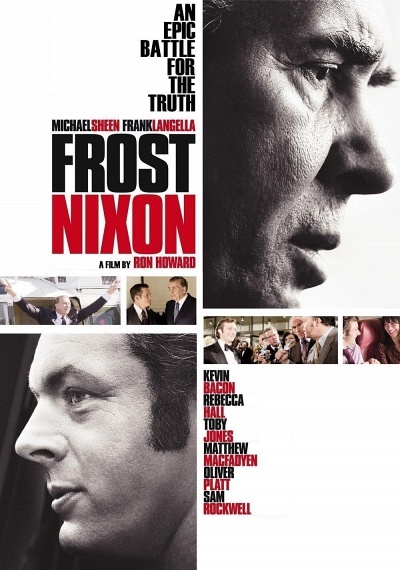 Frost/Nixon :: Movie Information :: RabbitTV GO! From Academy Award®-winning director, Ron Howard, comes the electrifying, untold story behind one of the most unforgettable moments in history. When disgraced President Richard Nixon agreed to an interview with jet-setting television personality, David Frost, he thought he'd found the key to saving his tarnished legacy. But, with a name to make and a reputation to overcome, Frost became one of Nixon's most formidable adversaries and engaged the leader in a charged battle of wits that changed the face of politics forever. Featuring brilliant portrayals by Frank Langella and Michael Sheen, Frost/Nixon is the fascinating and suspenseful story of truth, accountability, secrets and lies.